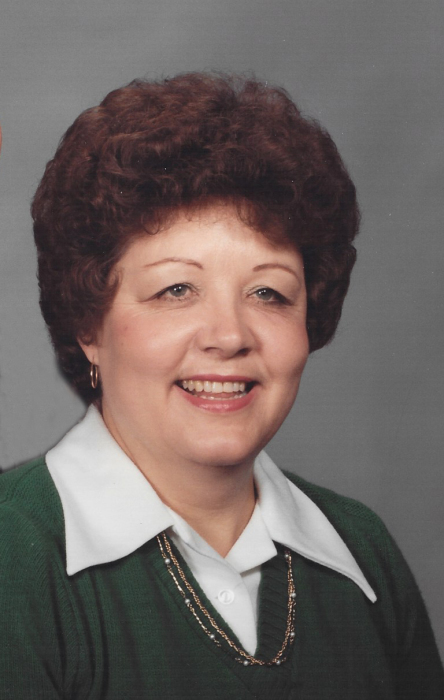 Peggy Jean Nash Hill Tucker passed away Sunday, January 27, 2019 at her home. She is preceded in death by her parents William and Lottie Mae Nash, first husband Roger E. Hill, her infant son, brothers Robert Nash, Franklin Nash, Joseph Nash, Roy Nash and Richard Nash and sisters Earlene Gay and Faye Nash. She was a loving wife, mother, grandmother, great-grandmother and dear friend to many. Peggy was a member of Bethel Free Will Baptist Church and worked at Caswell Center for 30 plus years. Peggy is survived by her husband Wade David Tucker of the home, daughters Lisa Dianne Lang and husband Eddie and Debi Jackson and husband Mike, sons Dennis Tucker and Scotty Tucker and wife Cindy, grandchildren Amy Kay Lang Goff and husband James, Trey Lang and wife Courtney, Madison Lang and fiancé Cody Kincaid, Chris Jackson, Courtney Jackson, Caroline Tucker Skinner and husband Steven and Matt Tucker, great-grandchildren Jamison Goff and Laykin Goff, brother Jimmy Nash and wife Martha, sisters-in-law Barbara Nash, Judy Nash and Janet Dickerson and many nieces and nephews. Visitation will be held from 10:00 am-11:00 am Wednesday, January 30, 2019 at Bethel Free Will Baptist Church. Funeral will begin at 11:00 am with Pastor Chris Truett and Pastor Bert Potter officiating with graveside to follow at Pinelawn Memorial Park. Flowers are welcome or memorials may be made to Bethel Free Will Baptist Church.